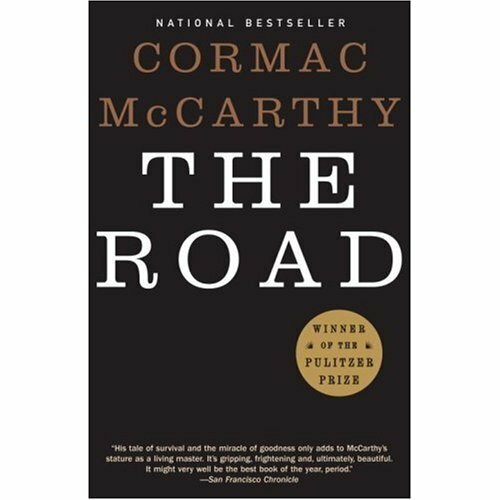 Not sure if it’s my favourite, but The Road by Cormac McCarthy had such a strong effect on me. It’s mostly super depressing but with a slight glimmer of hope. I actually cried reading this! Any that involves this trifecta: time off, food, and presents! Some French, very limited Cantonese. I wish I knew more swear words in both. Yes, a younger sister by 2 years. 🙂 We’re both adopted. So difficult to choose… one that I visit often is Kenzo Ramen. It’s such great comfort food. Difficult to pick one movie as an absolute favourite and I don’t want to repeat some others I’ve already named before so here’s one I really loved: Pan’s Labyrinth (2006) directed by Guillermo del Toro. It’s a fantasy film that doesn’t star a lot of big names but has amazing imagery and left a great impression on me. I don’t watch any current TV shows. Old favourites include The Wire, Arrested Development, and Breaking Bad. Any TV shows you’d recommend to me? PC – I find the term PC (aka Personal Computers) funny. It’s more of a product category rather than a brand; Mac is a Personal Computer. It’d be better to ask: HP / Dell / Lenovo etc vs Apple. 😛 I currently have a Dell. I have 2 phones – no, not a drug dealer – one is a Blackberry and the other is iphone; one is for personal and the other is for work. Not currently. But I love dogs. My SO loves cats. One day we will have one or two or three of each! But currently we’re dog-sitting my friend’s Australian Shepherd / Sheltie mix for a week! 😀 We’ve dog-sat her a few times before – she’s a very sweet dog. I’ve not heard of any of those Youtubers! I’m heading over to add them to my sub list, getting bored of the people I’m watching! I like it when you tags like this you leak a little more info about yourself which builds up the picture in my head! sounds so creepy! I go through phases where I get SO bored of my sub list too so I love discovering new to me YouTubers – any you particularly like who might not be as well known? I’d never heard of Jack fruit until I saw it on a Vietnamese menu – I tried it and the rest is history! I just had it last weekend – yummmm. Lovely post! And I love fresh Jack fruit but never had it in juice /shake 🙂 Well maybe you’ll like House of Cards but it’s not everyone’s cup of tea so maybe see one episode before deciding. Enjoy your weekend!! Pan’s Labyrinth is one of my faves, too! Way darker than I thought it’d be, despite having seen other Del Toro movies before. I just finished Breaking Bad! So late, but it was really good. Kept me thinking about it after every ep, sign of a great show. People keep telling us to watch Better Call Saul, now, a spin-off. I’d recommend The Americans (S4 just started on Wed), Luther, Fringe, Community, Misfits, and Hannibal. Yes, Pan’s Labyrinth is much darker than I thought it would be – very creepy! Oh I do like avocado shakes too but I find it a little too creamy… but I’m not a huge fan of super creamy things. I’m glad you finished Breaking Bad finally! It was good up until the end, wasn’t it? I haven’t watched an episode of Better Call Saul – I’d rather binge watch it once the series is done! 😉 I’m interested in watching The Americans! We did try to watch Community and we liked a few episodes but it was spotty so we kind of stopped. I like Fringe a lot too but I kind of lost interest after the 2nd season and the alternative universe thing… I should pick it back up! Thanks for reminding me! I still liked the end of Breaking Bad, though it felt like a downer! We started Better Call Saul, but have recently gotten distracted by Daredevil S2 (enjoyed S1 a lot). We loved The Americans but others seem to find it slow. IDK… 🙂 Community isn’t really great until it gets going, so it takes maybe half a season or so. Ahhh so much TV, so little time. There are so many shows I started but never got around to finishing (Walking Dead), and others on my watchlist (Peaky Blinders, The Knick). Thanks for the YouTube recommendations! I am subscribed to some of these girls, but not others. Always nice to hear about ones other than the usual! Lily and the Snowman is sooo cute! Made me tear up in the theatres. Pan’s Labyrinth freaked me out (I am scared of everything)! Although you are right, the imagery is amazing. Since she is a Bengal, does Molly try to climb on everything more than the usual cat? I used to know someone with a Bengal, and it would try to claw onto my long hair and swing from it. Cute cat, but I was kinda scared of it haha. No problem on the YT recs – any you would recommend for me? I honestly don’t know a single person (I asked around) who hasn’t been at least to the US! But yes, I do think that small town mentality is probably a factor on people who don’t wish to travel. Yes Pan’s Labyrinth teeters between fantasy and horror and some of the scenes are really scary / gruesome. I still loved it though – so different than mainstream Hollywood films! Yes Molly is a serial knocker over of things. She has broken vases, lamps, picture frames… my in-laws have basically kitty proofed the place by removing all decorations. This past Christmas they did not put up the Christmas tree for fear of her climbing up on it and knocking everything over. 😛 She did try to bat at my hair a few times when I had it dangling over a chair but she didn’t try to swing from it, omg! The image of that! 😆 She’s a playful cat but also very scaredy – she only recently allowed us to pick her up or pet her. To be honest, I like classic names (Charlotte, Grace, etc. ), and while Beatrice and Mabel might be a tad too old fashioned for me, I prefer them over “trendy” names like Kennedy or Blake or Michaela (no offense to any Kennedys or Blakes or Michaelas out there). I agree with your SO! The snowman definitely has feelings, haha. Haha! Bengals are sooo pretty to look at, but they are kind of a nightmare at the same time. I like that they’re so playful though, like dogs! “Someone told me they were thankful I wasn’t having kids to spare them those names.” – OMG I laughed so hard at this! As for the inches, I’m 5’5″. I’ll trade you! I have so many comments to make that I’ll probably forget something and have to comment again! Because I always procrastinate to do tags, and then forget about them (oops). I’ve never tasted jackfruit, but now I need to! I love the name Beatrice as well, but the only kids I have or plan to have are of the furry variety (love cats, love dogs, someday I’ll own a corgi), even though I quite like some (but not all) children. I do like being an honorary auntie. I love Stella, unfortunately it so does not work with my body chemistry, but L.I.L.Y. does. I’m an only child, as is Mr. Al, hence becoming an honorary auntie. I think I’m somewhere around 5ft7, but I’m not 100% sure, everyone I know is either taller or shorter than me. I’ve been told by tall folks that I’m short, and by short folks that I’m tall. So I guess I’m the perfect height for me! Yes, you need to try jackfruit, it’s such a nice treat – like sweets but “healthy”. We will also have a household full of furry kids! We used to want purebred but I think more and more we are leaning toward a mutt or mix and we’ll adopt adult animals from the shelter so we can do away with all the nutty puppy / kitten craziness! Wow, you’re both only children, how interesting. Both me and my SO have one sibling each but none of us are planning to have kids so there are no kids at ALL even between the 4 of us. This post has given me inspiration, I need to give the Stella perfume a spray (if I can find it) and you’ve given me some new YouTubers to check out! Having a work phone is quite common 🙂 you’re tall compared to me haha! I love that you pointed that out about PC standing for personal computer, that’s a pet peeve of mine! We are so different in so many ways i.e – I don’t like Jackfruit and I would not go near that drink. I am not good with the fantasy movie genre either.. I love Pan’s Labyrinth too! And perhaps try watching Penny Dreadful. It’s like Downtown Abbey meets American Horror Story. Gritty. Penny Dreadful has Eva Green in it, doesn’t it? I’ll have to try it! 😀 Thanks for the rec! I love pans labyrinth – completely changed how I felt about the fantasy genre. Really sad and beautiful movie. Try your local Asian markets – those are the only places I’ve seen jackfruit! Oooh yes the Sopranos is on our list to watch – I watched season 1 and I really liked it. I’ll have to get the whole season. I read the book Orange is the New Black but I think the tv show has taken it into a WHOLE other level! I haven’t seen any episodes of the show though. Oooh thanks for all the You-Tuber recommendations, off to check those out as I’ve never heard of any of them. Not sure if you watch Bailey B or not but I think you might like her – she does some pretty detailed reviews. I’ve also recently discovered JamiePageBeauty. She’s Canadian and I really like her! I LOVED Breaking Bad too! I had trouble going back to regular tv after binge watching that series – everything seemed so lame in comparison. Have you watched Sons of Anarchy? It has some cheesy moments but I really enjoyed it. I haven’t heard of Bailey B or JamiePageBeauty – I will look them up – thanks for the recs! I love watching Canadian beauty channels too! I haven’t watched Sons of Anarchy yet but we do have Season 1 on DVD so I’ll have to make time for that – I’ve had several people recommend it to us. You always make me laugh. Your new name is “Hoarder” and I’m glad you’re not a drug dealer. LOL! Thanks for sharing your fave Youtubers too! Haha my SO calls me a hoarder already anyway, it’s ok. 😛 My drug is makeup!!! We can go to Makeup Anonymous together. LOL! I want to do this TAG !!! You should watch Scandal & House of cards (I agree, The Wire is sooooo good). Just watched the song …. cutting onions too !!! Do this Tag! 🙂 You haven’t done a Tag in ages have you? All my friends watch Scandal but I think they mostly watch for the fashion lol! I’m not watching Better Call Saul yet, I think I will wait until the series is over so I can binge watch! 😛 I don’t know The Returned but I just looked it up and it looks creepy / intriguing! I want to watch it now…! Thanks for the rec! Just curious, do people carrying more than one phone = bad guys in Canada?